JD Equipment Inc., one of the largest John Deere dealers in the Midwest, was represented by the lawyers at Kegler Brown in connection with its acquisition of substantially all the assets of Finton Equipment, LLC. Finton Equipment focuses on the sales and service of John Deere products in Coshocton, Ohio. The asset purchase was completed in March 2012. In August 2011, the attorneys at Kegler Brown represented a leading digital marketing agency in its sale of a minority equity interest to a Boston-based private equity firm and a related, leveraged debt recapitalization. Lawyers at Kegler Brown represented a publicly-traded global healthcare company in its sale of several of its business units focused on the enteral feeding, vascular access, catheter location device and surgical protection systems markets. The corporate divestitures closed in August 2008. Kegler Brown represented an Ohio-based private equity firm in January 2008 in its equity investment and acquisition of the business assets of a regional supplier of pro-audio, lighting, staging and video production services, sales, and installation. Kegler Brown represented PowerSecure International, Inc. in the closing of its $40 million public offering, underwritten by investment banking firm Robert W. Baird & Co., which was represented by Morrison & Foerster. The public offering raised money for PowerSecure’s important business needs, including working capital, acquisition and equipment to grow and expand its business which has reported record revenues in its most recent financial results. In order to complete the financing, our firm counseled and assisted them on every step of the process, from the preparation and filing of the shelf registration statement, through due diligence, negotiations with the underwriters on the underwriting documentation and preparation and filing of the prospectus supplement and related offering documents. This counsel helped PowerSecure finance its rapid growth trajectory, which subsequently included listing its shares on the New York Stock Exchange and ringing the opening bell that day, while our attorneys stood proudly next to the company's executive team. The M+A team at Kegler Brown represented a publicly traded, global automotive supply company in its acquisition of the assets of a complementary business focused on custom-painted and hydrographic finishings for application in the automotive, aviation, consumer goods, medical and recreational markets. Kegler Brown advised an Ontario-based coating technology business in its acquisition of a U.S.-based specialty chemical distribution company focused on paints, coating, adhesives and inks. 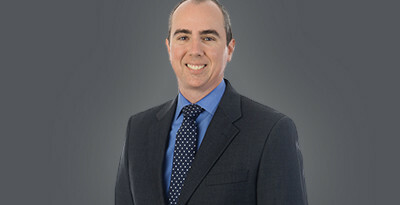 In 2013, Kegler Brown acted as securities and corporate counsel to PowerSecure International, Inc. a nationally renowned energy services public company, in engaging in a series of business acquisitions and $100 million in securities registrations, that involved a complex series of issues relating to securities regulation compliance, taxation, corporate entity formation and merger, and complex transaction negotiations with opposing counsel in a short period of time. With our extensive team knowledge of public companies, securities requirements, tax matters, entity structure and our acclaimed merger and acquisition practice, we were able to help our client meet and exceed its expectations while simultaneously advising its board of directors and relevant committees in successfully resolving all issues, in order for PowerSecure to achieve its high standards of excellence and business and finance requirements.